A mother in Louisiana has phone video chats with her detained 5-year-old son in Texas, while a Honduran asylum-seeker had actual face time with his little girl, visiting her in person. He made sure to bring along a McDonald’s hamburger to share. [post_ads]Immigrant parents who were separated from their children under President Donald Trump’s “zero tolerance” policy for illegal border crossings are struggling to communicate by any means possible in the age of instant, international social media with sons and daughters kept in government-contracted facilities around the country. 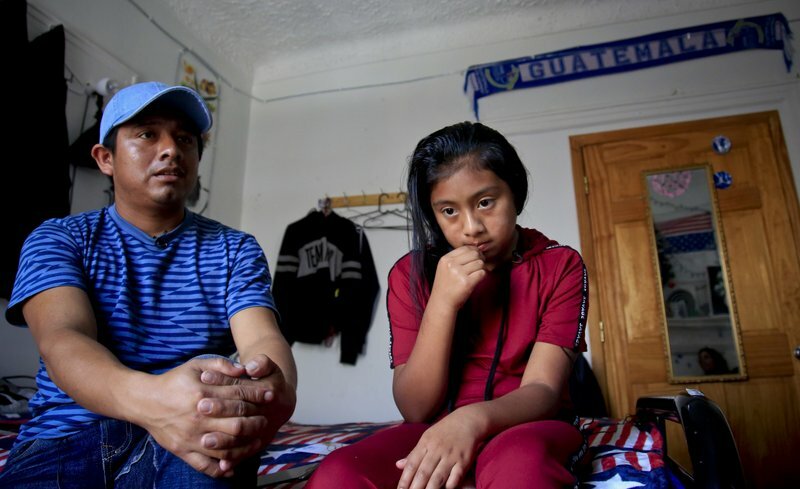 For most parents, phone calls have been the only connection to their children as the separations dragged on for weeks. “They give her one call a week. Ten minutes. It’s just not enough time,” said Aguilar, who moved in with relatives in Atlanta after his release from detention to await asylum proceedings. In other cases, parents and children are finding creative ways to cope. A 15-year-old boy tells his 5-year-old brother that their separated mom was working and that’s the reason they’re apart, says the lawyer for the mother.